Released in 1971, this debut album from Little Feat was not really like their subsequent albums, with their funky, rhythmic rock that became their trademark. 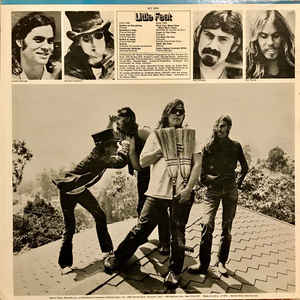 This one was still influenced by late sixties/early seventies country rock on cuts like "Strawberry Flats", with its chunky riffs and Band-style vocal delivery. There were echoes of "Tumbleweed Connection" period Elton John too. There were also flavours of psychedelia and blues to the album in many places, such as on the opener, "Snakes On Everything". It is very much an Americana album (although to be honest I feel all their albums are) and a country one too. I guess it is an American roots album, like the early ones from the Band. "Truck Stop Girl" brings to mind The Rolling Stones' "Beggars Banquet" work and The Band, once more. The plaintive, piano-driven ballad "Brides Of Jesus" is very influenced by early Neil Young. 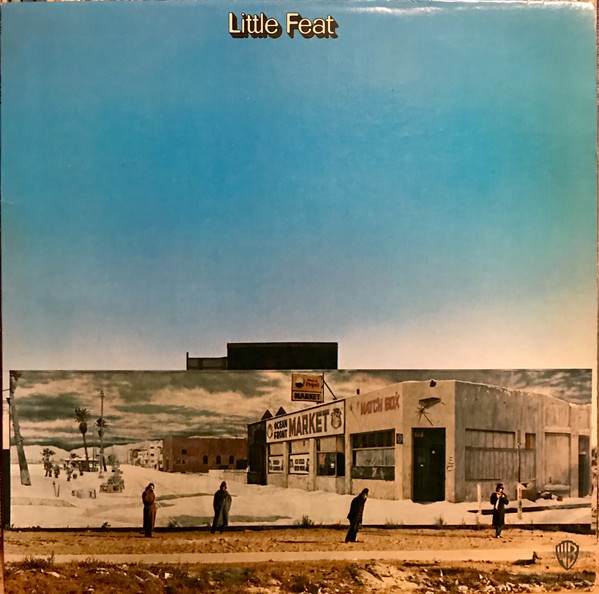 The next track, "Willin'" is very country-ish slide-ish blues, while the more typical Little Feat rock sound is present on the muscular guitar of "Hamburger Midnight", the heaviest cut on the album. It has some searing guitar on it in the middle. The blues is present, big time on the six-minute Howlin' Wolf medley of "Forty Four Blues/How Many More Years" which is packed to the brim with blues harmonica and slide guitar. "Crack In Your Door" is a rousing Band-esque number, while "I've Been The One" is very Jackson Browne-like in its vocal delivery, melody and lyrics. "Takin' My Time" is similar in its quiet piano/vocal atmosphere, very Elton John-esqe and the short closer "Crazy Captain Gunboat Willie" is a brief return to rocking Americana. Overall, this is an enjoyable, retrospective and evocative album. Although it didn't do particularly well at the time, its influence has been greater over the years.